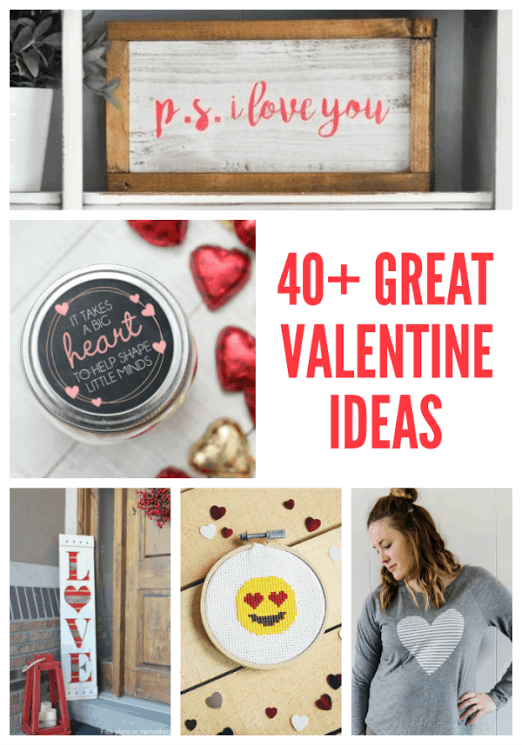 Today I’m joining up with a group of crafty bloggers to share some fun Valentine’s Day crafts with you. In a few days we’ll be back with our favorite Valentine’s Day recipes, too! 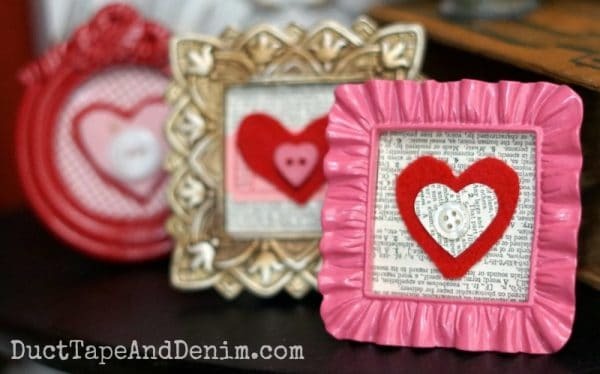 Scroll down to see my felt Valentine mini frames and then go visit all the other fun crafts. Let me know which was your favorite! mini frames – I found mine at a local craft shop a few years ago. Look online for baroque place card frames. These little frames came with plastic instead of glass. So I popped out the plastic, traced it onto my scrapbook paper, and cut it out. 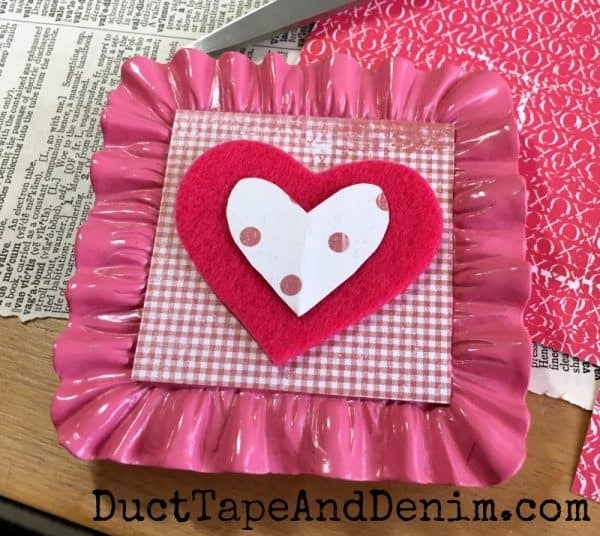 I played around with different sizes and colors of hearts until I found a combination I liked. 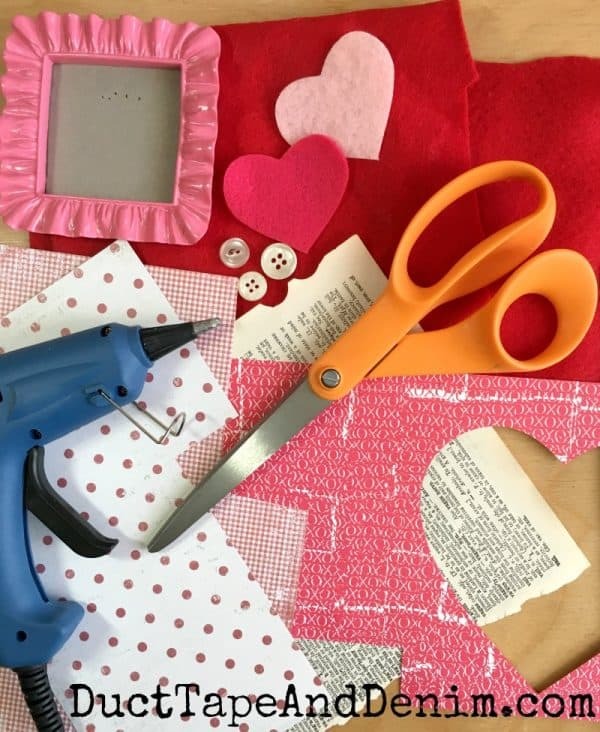 Then I glued it all together with my favorite glue gun. These three were my favorites. One of them even joined my Valentine’s Day coffee table vignette. Did you know Scrabble came in red and pink? 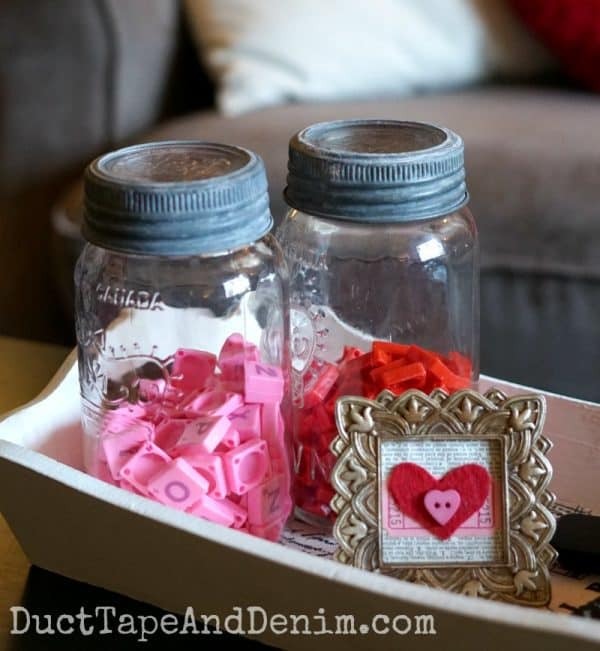 Now take a look at all these other great ideas for Valentine’s Day crafts! Such a cute and simple little piece! I did not know that Scrabble came in pink and red! So cool, and these little frames are adorable! Thanks for all these great ideas! 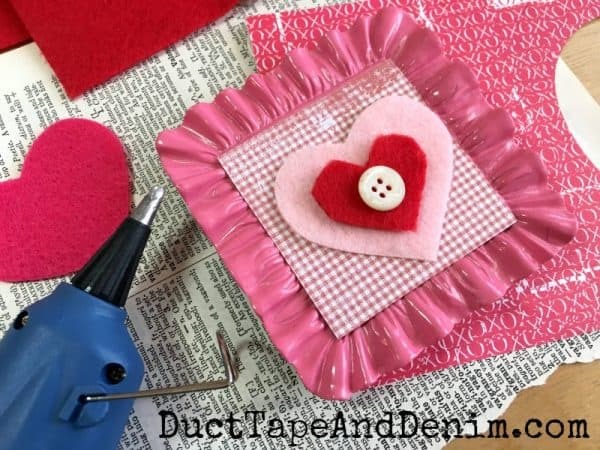 Pinning to my Valentine Crafts board. These are so cute! Thank you for sharing as part of the blog hop.